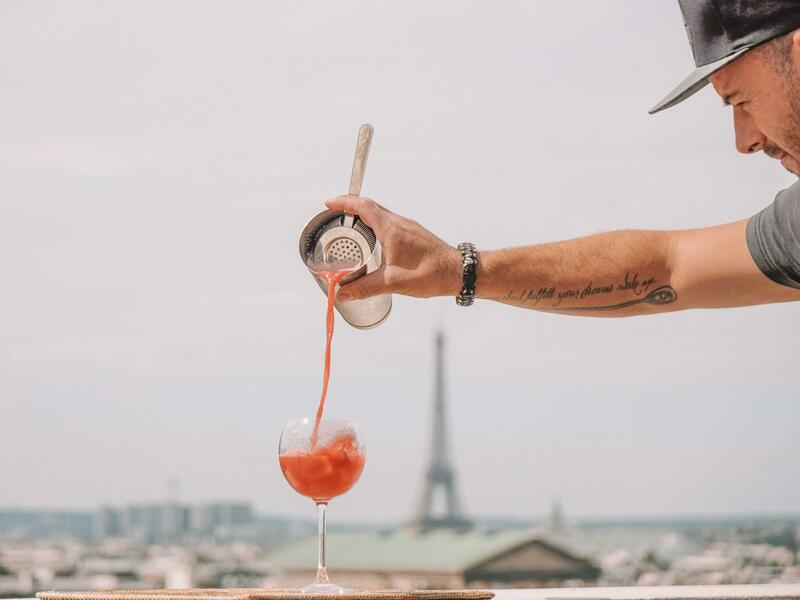 I’ve outlined my two favorite hot spots to beat the Parisian Heat. 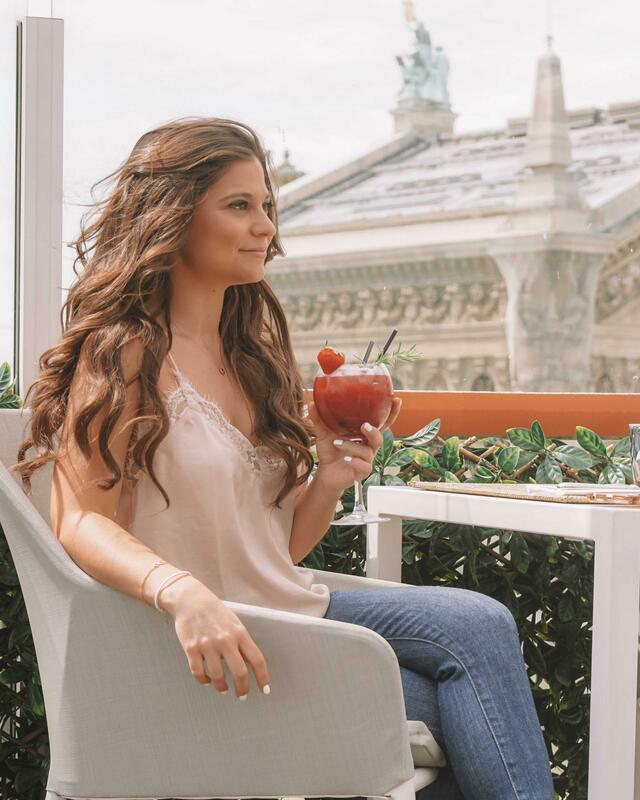 Luckily for you both terrace bar & restaurants are located on the rooftop of my favorite place to shop in Paris, Galeries Lafayette. 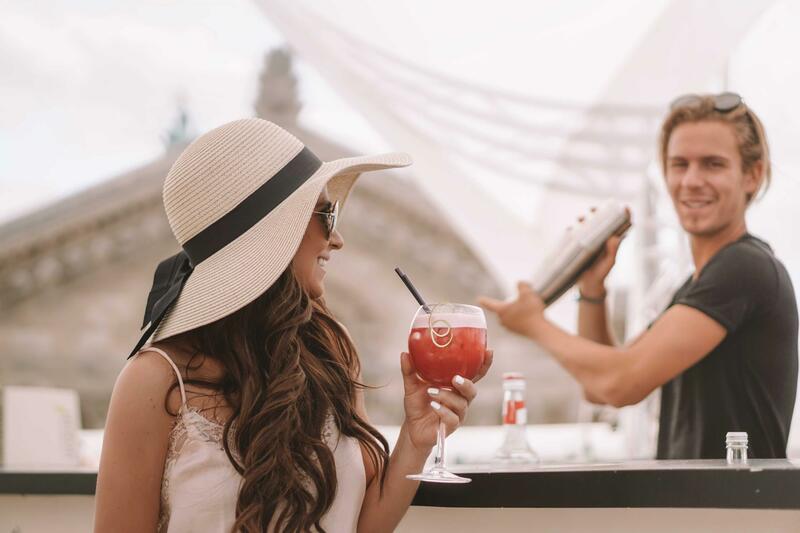 Whether you’re out shopping and need a bite to eat and a refreshing drink or in the mood to enjoy a spectacular view these two terraces bar restaurants are perfect for you. One of the most epic places to enjoy nice cocktails and relax is Le Cube Bar is for you. Le Cube Bar is located on the top of Galeries Lafayette in their terrace. When you arrive to the terrace take a right and you will see Le Cube Bar. It has breathtaking views of the Eiffel Tower and the Opera House. With daily drink specials constantly changing you’ll always be pleasantly surprised of the new mix concoction the bartenders come up with. In addition to incredible cocktails, Le Cube has a short menu that includes typical Parisian Snacks. What I love about the Le Cube Bar is that is has a nice covered area to shield you from the sun. I still recommend bringing a hat and your favorite pair of sunnies. I recommend heading to Le Cube during the week or on Sunday to grab a table, or arrive early during Saturday to reserve your table. 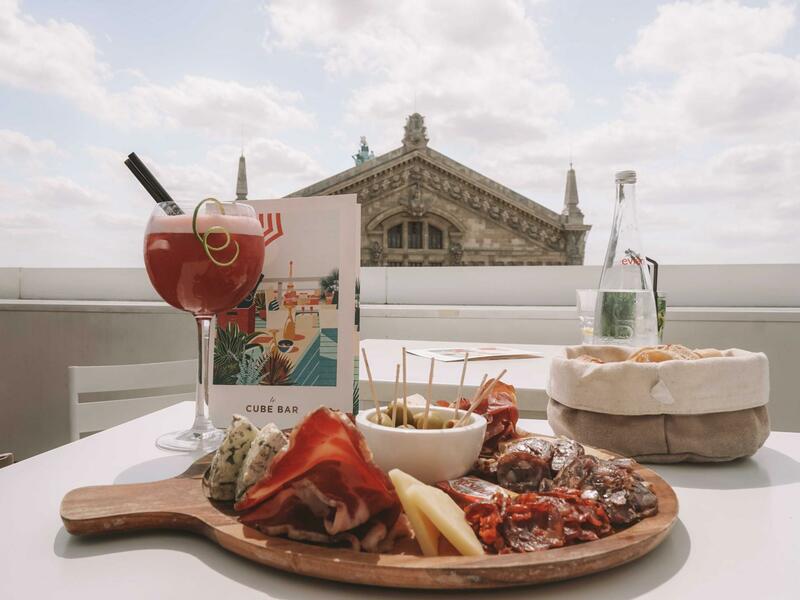 If you’re looking for a more private dining experience on a rooftop terrace then La Paillote Restaurant is perfect for you. La Paillote Restaurant is located on the left side of the Galeries Lafayette Terrace. 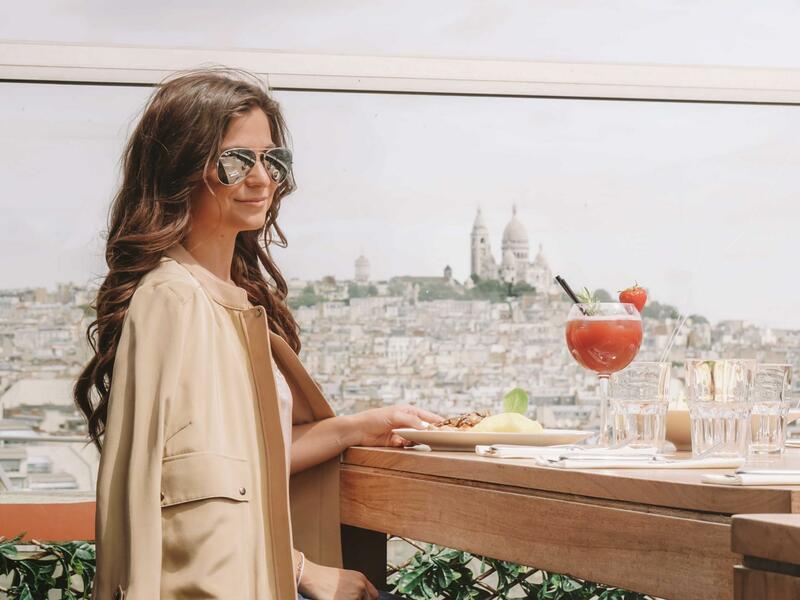 Not only does La Paillote have a delicious Parisian menu it also has a gorgeous view Sacré-Cœur off in the distance, the opera house, and the Eiffel Tower. What I love about La Paillote is that every year the menu changes. Over the weekend I enjoyed the warm chavignol goat’s cheese salad with honey and walnuts and Aaron enjoyed the chicken dish. Both dishes were fantastic. The service was incredible and comparable to a fine dining experience. We were seated very quickly and our meal arrived shortly after we ordered. In addition to the amazing food, and the breathtaking view, the bartender put on a little show for us when he was mixing our drinks. These are the type of little things that make the experience extremely memorable. If you’re looking for a more intimate experience away from the crowds the La Paillote is perfect for you. I recommend heading to La Paillote as soon as they open up or reserving your spot in advance. 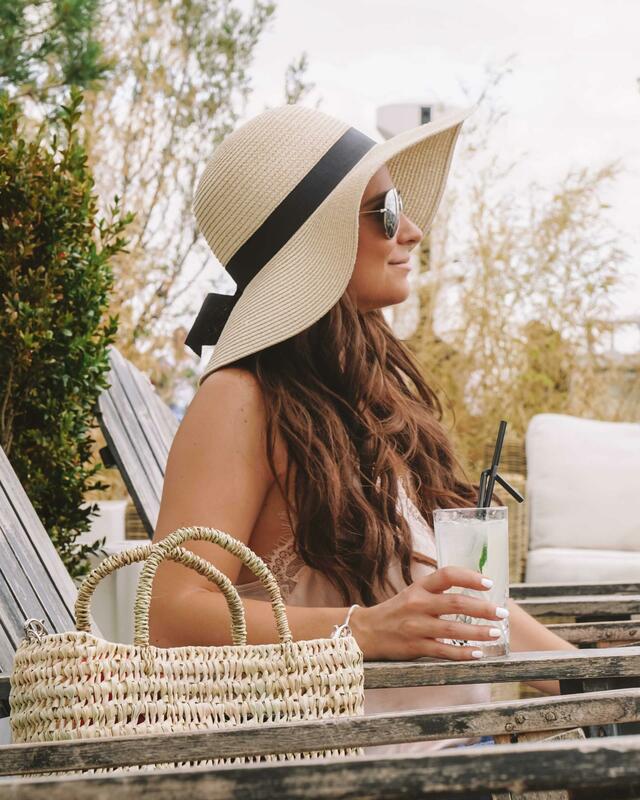 In the words of Will Smith, Summer Time Song, I think we can all agree that “summer, summer, summertime, – time to sit back and unwind.” So sit back and unwind at one or both of these summer time terraces at Galeries Lafayette! Le Cube Bar Hours · Monday to Saturday, 11am to 8pm. & Sunday from 12pm – 6pm. 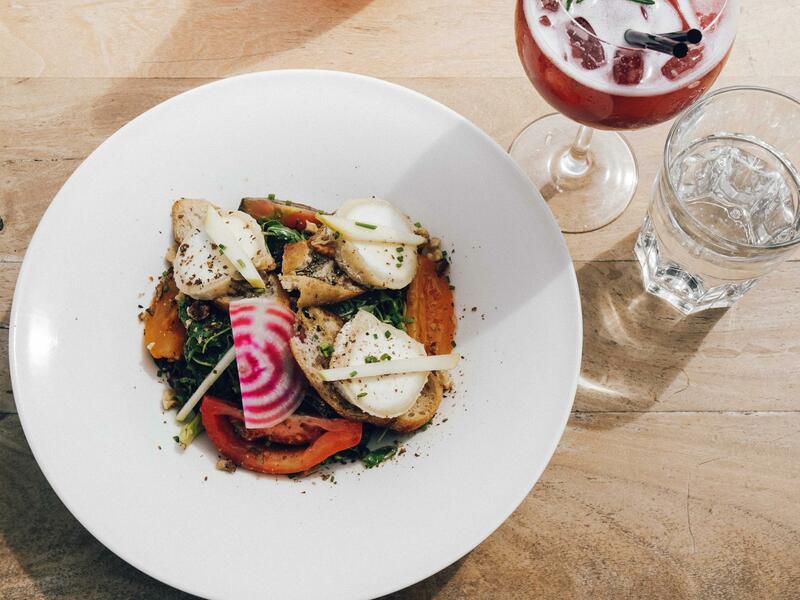 La Paillote Hours · Monday to Sunday 12pm – 6pm. 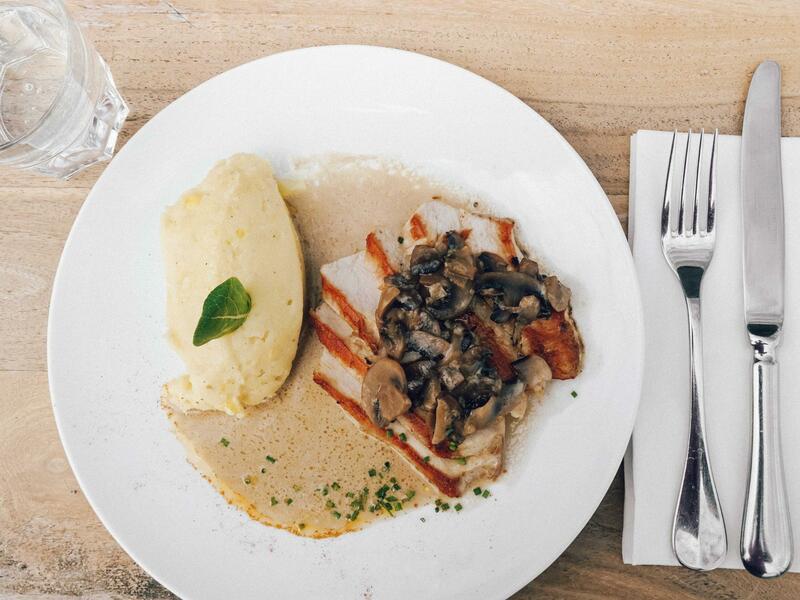 Restaurant service from 12pm – 4pm. Hot drinks from 4pm – 6pm.